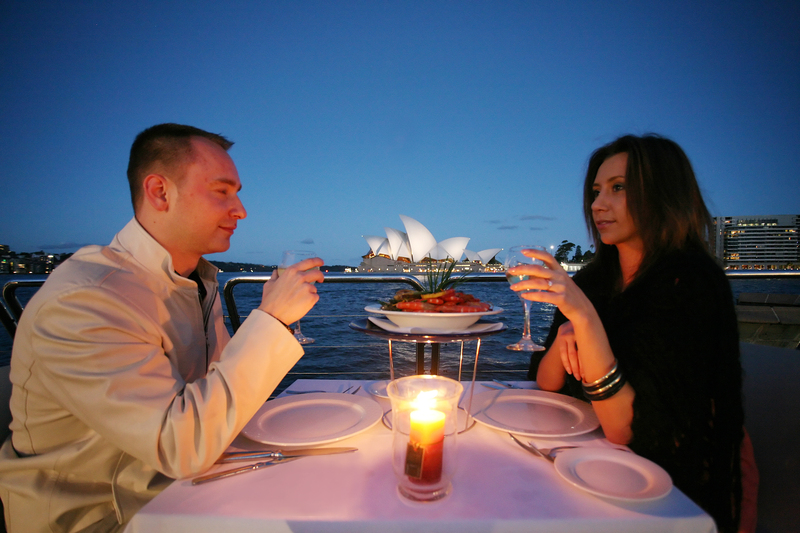 Enjoy Australia Day on a Sydney Harbour Cruise! The most exciting events of the Australia Day are around the Sydney Harbour and the most exciting place to celebrate the Australia Day in Sydney is on a harbour cruise! 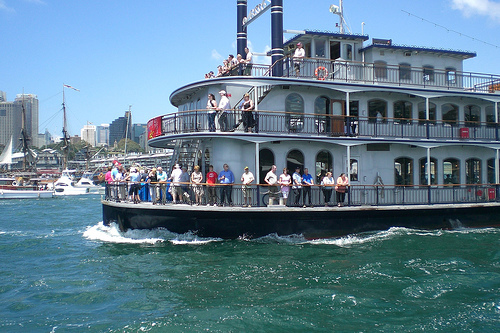 The Ferrython, which is the race of the First Fleet ferries, has been thrilling the Sydneysiders and tourists alike for more than thirty years! The race begins near the Sydney Opera House. The firing of the ancient cannon at the historical Fort Denison signals the start of the race. From here the ferries plunge forward towards Watson’s Bay around the Shark Island to return to the finishing line under the Sydney Harbour Bridge. A harbour cruise takes one so close to the race that one can cheer the ferries on and feel the thrill of the race in one’s bones! Winning the title is a source of great pride and so the battle for it gets tougher every year! 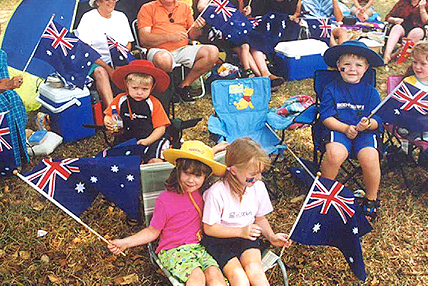 Another colourful event of the Australia Day on the Sydney Harbour is the Australia Day Parade. This is a display of all kinds of watercraft parading the harbour, decked out in their best! The parade begins from under the Sydney Harbour Bridge, and cruising past the Sydney Opera House and Clark Island to Bradley’s Head, turns back to the Harbour Bridge. There are prizes for the best dressed charter boat, the best dressed small boat, the best dressed working boat, the best display of flag, the best overall display, the best theme, etc. Winning and keeping these prizes is a matter of great honour and the vessels plan well in advance and vie with each other in a friendly spirit to win new titles and to hold on to their old ones! The cruises allow close view of the parade and close scrutiny of the vessels so that viewers can compete with each other while making their own judgement as to which vessels should take away the prizes! The aerial display of the expert RAAF pilots has been a favourite with the crowds that throng the harbour on Australia Day every year! There is no better vantage point than an open deck of a cruise to watch the amazing precision with which the aeroplanes would plunge down and then fly out! Performances on parachutes and rescue acts are some of the other highlights of the event. The Tall Ships race brings with it a bit of nostalgia and some adventure! While it is interesting to watch the crew struggling against the wind to accomplish the amazing feat of setting sails, there are few sights more magnificent and beautiful than a tall ship in full sail! And what’s more, being on a tall ship cruise that is part of the race allows you to be right at the centre of action! The race begins at Bradley’s Head and finishes under the Sydney Harbour Bridge. The Australia Day Regatta includes events for all kinds of yachts — the modern, state-of-the art head turners as well as the quaint, old-fashioned beauties! The chance to see them all in a beautiful array comes once a year – on the Australia Day on the Sydney Harbour! 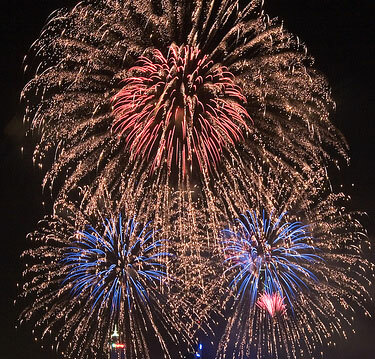 The dramatic day concludes with spectacular fireworks. The burst of colour and light across the dark skies over the glittering waters of the harbour is a picture that every visitor takes home and a sight every spectator cherishes in his or her memory until the Aussie Day next year!